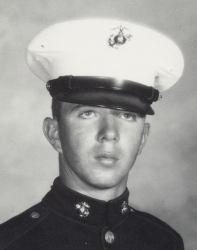 Lance Corporal Roy Mitchell Wheat (24 July 1947- 11 August 1967) was a U.S. Marine who was posthumously awarded the Medal of Honor for heroism during the Vietnam War. Roy Mitchell Wheat was born on 24 July 1947 in Moselle, MS. 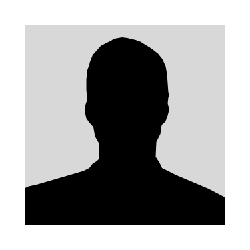 He attended public schools in Ellisville, MS; leaving high school in 1965, after two years. In September 1966, he enlisted in the U.S. Marine Corps at Jackson, MS. Wheat then reported to Marine Corps Recruit Depot Parris Island, SC. He underwent recruit training with the 2nd Recruit Training Battalion, after which he completed special infantry training with the 1st Infantry Training Battalion, Camp Lejeune, NC. Upon completion of infantry training, he was promoted to Private First Class in February 1967. Private First Class Wheat arrived in Vietnam in March 1967, and was assigned duty as a rifleman with Company K, 3rd Battalion, 7th Marines, 1st Marine Division. His unit participated in numerous combat operations, including Operation DeSoto, Duc Pho District, Quang Ngai Province; and Operations Webster, Arizona, Butler and Gem in Quang Nam Province. He was promoted to Lance Corporal on 1 June 1967. On 11 August 1967, Wheat was assigned, along with two other Marines, the mission of providing security for a Navy construction battalion crane and crew operating along Liberty Road in the vicinity of Dien Ban District, Quang Nam Province. On that mission, LCpl Wheat accidentally triggered a well concealed antipersonnel mine. After shouting a warning to his fellow Marines, Wheat hurled himself upon the mine, absorbing the impact of the explosion with his own body. For his heroic self-sacrifice he was posthumously awarded the Medal of Honor. 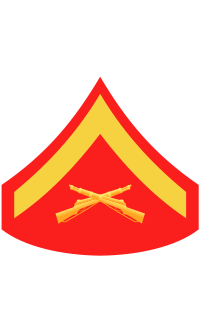 For conspicuous gallantry and intrepidity at the risk of his life above and beyond the call of duty while serving as a fire team leader with the First Platoon, Company K, Third Battalion, Seventh Marines, First Marine Division, in the Republic of Vietnam. On 11 August 1967, Corporal Wheat and two other Marines were assigned the mission of providing security for a Navy construction battalion crane and crew operating along Liberty Road in the vicinity of the Dien Ban District, Quang Nam Province. After the Marines had set up security positions in a tree line adjacent to the work site, Corporal Wheat reconnoitered the area to the rear of their location for the possible presence of guerrillas. He then returned to within ten feet of the friendly position, and here unintentionally triggered a well concealed, bounding type, antipersonnel mine. Immediately, a hissing sound was heard which was identified by the three Marines as that of a burning time fuse. Shouting a warning to his comrades, Corporal Wheat in a valiant act of heroism hurled himself upon the mine, absorbing the tremendous impact of the explosion with his own body. The inspirational personal heroism and extraordinary valor of his unselfish action saved his fellow Marines from certain injury and possible death, reflected great credit upon himself, and upheld the highest traditions of the Marine Corps and the United States Naval Service. He gallantly gave life for his country. The name Roy Mitchell Wheat is inscribed on Panel 24E - Line 101. • In 2003, the U.S. Navy named its newest prepositioning ship, the USNS Lance Cpl. Roy M. Wheat, in his honor. • Naval Air Station Meridian (Mississippi): The enlisted dining facility there was named after him in 1985. Lance Corporal Roy Mitchell Wheat was killed in action on 11 August 1967. He is buried at Eastabuchie Cemetery in Jones County, MS.